7591-7595 was on the earlier. It's been on the since the other R142As from the moved to Jerome, so for at least two months. The put-in was taken out after the reduced service occurred in the fall I believe. 2 11-car train R62A trains are left on the for now. 7116 to 7120 has been moved from East 180/Unionport on the train back to Mosholu on the train. It came back with a howling motor. 1. The R32’s are Budd Co. and 2. 3445-3468/3818-3819/3714-3715 and 3770-3771 are at 207st. 3. R32; 3520/3891 is still at East New York. Correction: 3818-3819 is still at East New York and 3426/3427 and 3520/3891 Never left East New York. 7121 to 7125 came back to Mosholu from Wakefield (239th) as well, paired with 7165 to 7161. *The remaining single R62As are at Corona. 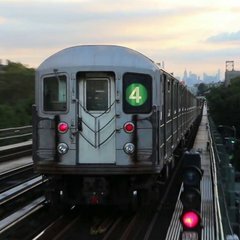 However, after Friday, March 30th 2018, 11-car trains made up of that fleet type were withdrawn from service for CBTC progress on the Flushing line. They are held at the yard but, will be used either for miscellaneous service or converted to 5-car sets for the to use just R62As in the future. I’ve seen 1371-1375 back on the as of recent. 3818-3819 is at East New York. 2071-2075, 2081-2085, 2091-2095 will head to Westchester soon. There was a talk that the may receive their R142As back but, we'll see (discussed from another group).